Drones are not just small toys that can be used occasionally. Nowadays, they are professional gadgets and machines that can be used for numerous applications. As you already know, they can be used for transporting goods, aerial photography and many other things, but the latest and the most popular possibility is related to competition. 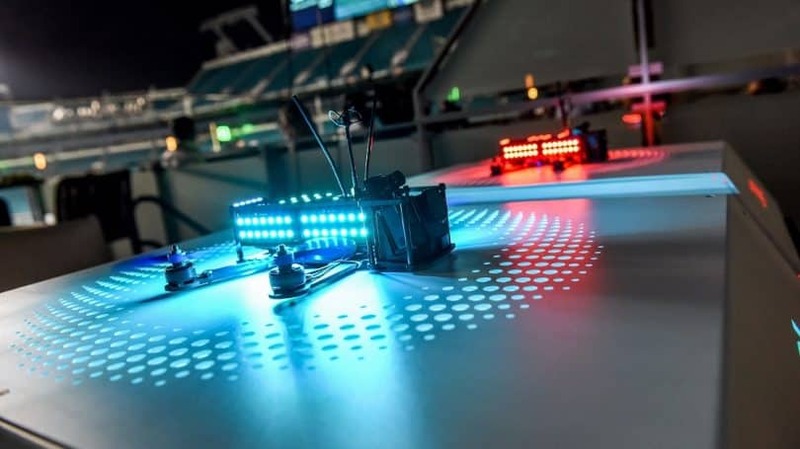 Drone racing is extremely popular across the planet, and most experts claim that it will be even more popular in the near future. On the other side, it isn’t a well-known form of fun, but it is ascending very quickly, so if you are planning to begin with drone races, there are some things you should take into account first. However, the drones for races are not the same as the commercial (consumer) quadcopters that are used for fun or to take aerial photos and/or videos. The racing drones are usually small quads which are specially built to race in different racing events. FPV (first person view) racing is a kind of extreme sports, and it gained big popularity in many countries around the world. 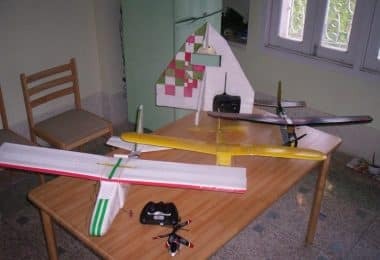 If you have a drone and want to participate in such races, it would be good for you to read the following content and find out some important things and issues related to these races. 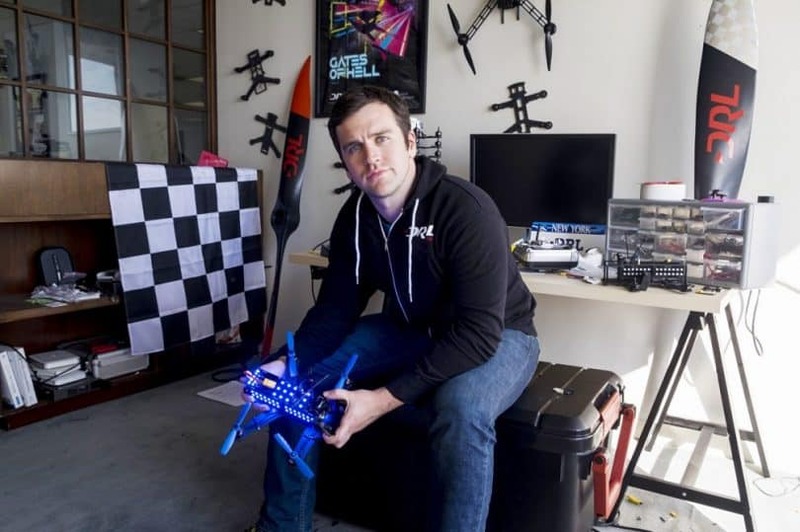 Drone racing as a trend started in 2014, in Australia, and they easily became an extremely popular sport. In fact, they are so popular that most people believe and treat this as one of the sports of tomorrow. 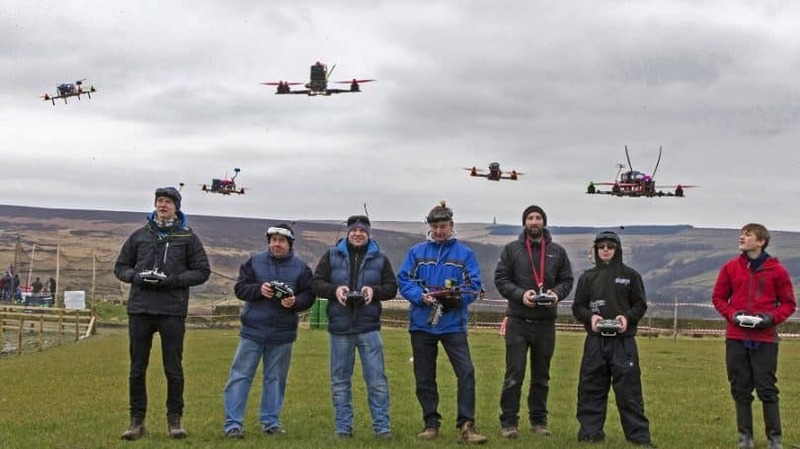 In general, this is a simple and exciting sport that involves professional drones and pilots from all parts of the world. Pilots have to wear first person goggles, where they can see the live streaming from their drones, which makes this sport even better. To get a better idea how these systems work, we suggest checking out our article about FPV goggles. Besides the fact that it is fun and interesting, drone races are considered a great way to win a price. Actually, certain championships offer up to $200.000 prizes! However, the competition is tough and this sport isn’t very simple, due to the fact, there are a lot of factors that affect the race. Each pilot has the same goal. To complete a course as soon as possible, and reach the finish line with the best score. 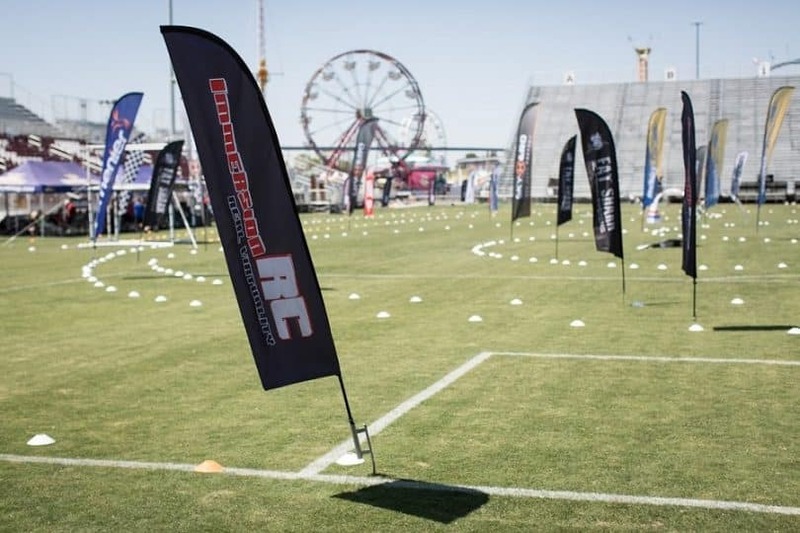 The courses may vary and they are different to the championship. As noted above, the competition is really tough, so winning is a hard thing to achieve, and it depends on the capabilities of the pilot and a drone. Drones that are used in those races are specially made for this purpose, so they are different than ordinary units. In most cases, they must have powerful electric motors that can withstand rough use and they must guarantee a long flight, and to get more familiar with this topic, you can also take a look at our article about drone motors. In any case, cheap and low-quality drones cannot be used here. 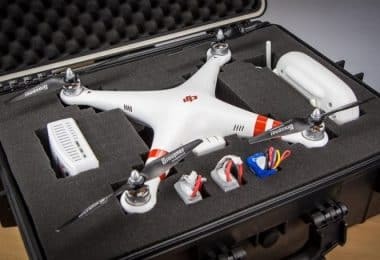 Pilots and teams get the same drones, spare parts, and a backup drone, in case there is something wrong with the original unit. Keep in mind that accidents do happen, so some drones never complete the course. The best drones are those with the best electric motors and the longest flying time, due to the fact they have the best performances. 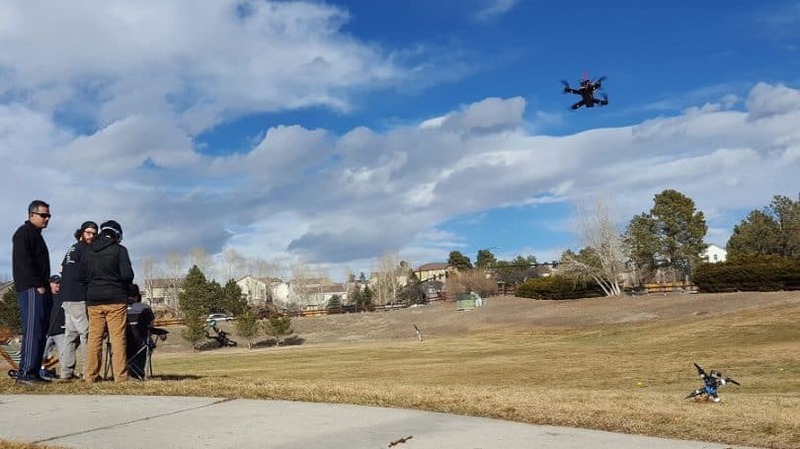 On the other side, maneuverability is equally important and it should be taken into account when choosing and getting a drone for a specific race. 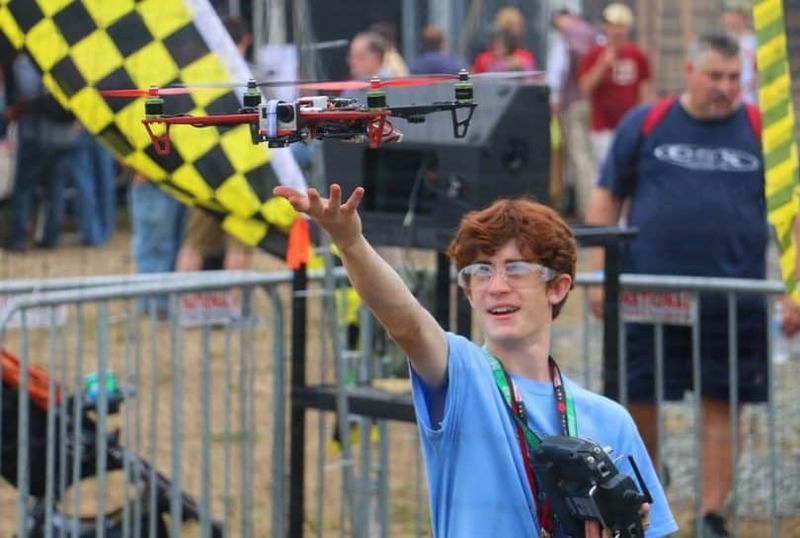 Buying or building your own drone for a race? As aforementioned, drone races are done with professional drones, capable of achieving high speeds and staying in the air for a long time. This means that they are a bit special and definitely different in comparison with drones available on the market right now. An interesting fact is that you can build your own drone and race with it or you can buy an already assembled drone and use it. In any case, you get advantages and disadvantages, so it is a good idea to know all about them before you make a choice. To get a better insight on this, we suggest checking out our article talking about building a drone vs. buying one. Making your own drone means that you must have experience, due to the fact this may be a complicated procedure. It involves a lot of small components and it isn’t an easy task. In fact, most beginners try to make their own racing drone, but they end up with buying an already assembled version. In any case, this is a fun procedure that allows you to have a lot of freedom with your drone. You can use specific design components, specific electric motors and additional features that can make your drone unique. As aforementioned, this requires experience, so it is recommended to learn a thing or two before you start with this step. On the other side, if you already have experience, this way is a much better choice than buying an already completed device. An interesting ability is to add specific features that will make that drone perfect for your flying style. 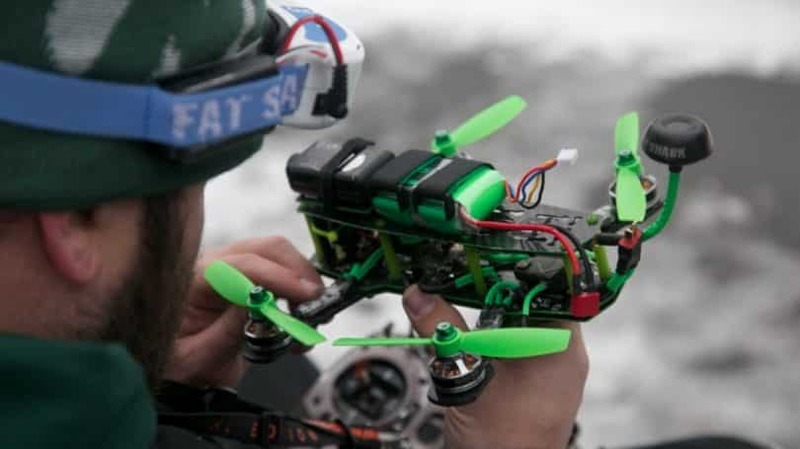 Although this may be a complicated procedure, it will have a positive effect on the flying capabilities, and if you are looking for the best racing set, we suggest checking out our article about FPV quadcopter kits. Buying your own drone is a safe choice, due to the fact you will get a device that has been made especially for races, so it has specific features that allow to it to fly amazingly. On the other side, there is no room for customization, so you will end up with a device that has pre-defined features. Adjusting and changing something on your drone isn’t possible in this case, due to the fact that all components are already installed and connected. The main issue, in this case, is that if you get a ‘’bad’’ drone, that doesn’t suit your needs, your flying will be compromised and winning won’t be possible. If this happens, you should replace your drone, or try to add additional features and components that can make it better and it will offer better performances that you need. Keep in mind that these drones are already assembled and they can fly as soon as you get them. This also means that if you don’t have enough free time, this option is better for you and it should be chosen. What are the top models these days? If you want to buy a ready-to-fly drone, you should opt for one that is in accordance with your RC skills. For beginners, the best model is the Hubsan X4 H107D. This is a palm-sized quad that is ideal for first-time racers. In the intermediate category, one of the best models is ARRIS X-Speed FPV250, an affordable ready-to-fly drone that’s suitable for 250-class events. As for the professional racing UAVs, Lumeniere QAV250-RTF-CF is a very good model for experienced quad pilots. 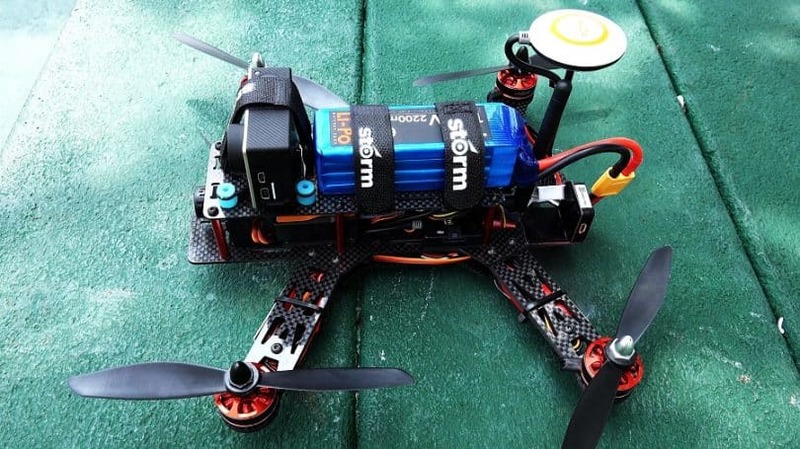 This is a super-fast, powerful quad that is very popular today in FPV racing. No matter which way you choose, keep in mind that the prices are high and this will cost you. These drones are specifically designed for racing, so they are lightweight and have powerful electric motors. In addition, they are aerodynamic and have durable batteries. Most of them have components made from carbon fiber, so they are durable as well, and they can withstand rough landings. In any case, components made from this material will last longer and they will be a much better choice when it comes to building or buying your new drone. Another factor that should be taken into account is the camera. All drones made or races must have a camera, due to the fact they use it to transmit a signal back to a pilot. Keep in mind that an HD camera is the best choice, simply because it can allow great streaming and you will be able to see all details and things that can affect to your flying and your winning. This is a race between two or more drones that must pass a specific course as soon as possible. Pilots control them from a specific distance, while they wear goggles, where they can see the video streaming from their drone. The main goal is to complete the course as soon as possible and all participants are ranked accordingly to their crossing of the finish line. This is also the most demanding type of races, due to the fact it requires great flying capabilities and impressive maneuverability. It is recommended that you start with some other types of races and move to this type after you get some skills. This type of drone races is the simplest one, due to the fact it requires just acceleration and the top speed. 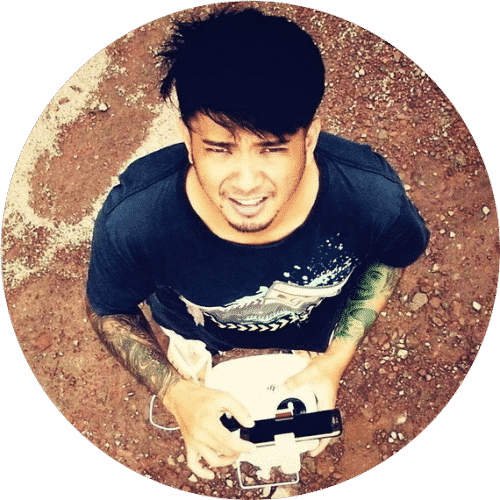 The drones usually have 100 meters area, where they should reach their top speed. In this case the acceleration time, the power of the electric motors, and the weight have an important role. The maneuverability isn’t important, simply because drones fly in a straight line. It is a great thing if you have a very lightweight drone, but with impressive electric motors. This is also the most fun and the shortest type of drone races, so it is a great choice for beginners and people who like having fun. This type of races is similar to the first, aforementioned type due to the fact all drones must complete a specific course as soon as possible. However, their time is measured and the winner is a pilot with the shortest time, needed to complete a course. Other requirements are identical to the first race type we mentioned, so this isn’t a simple race type and it is very stressful, due to the fact you must hurry with your flying. 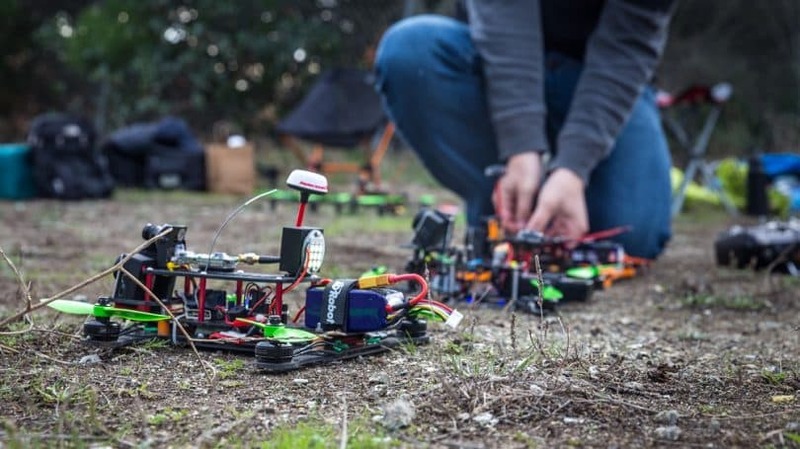 If you have never participated in this kind of races, it would be better to gain experience in some less formal events, like the local FPV races and meetups. The racing leagues are only for the experienced racers, i.e. drone pilots. By the way, you will need a more advanced drone for these leagues as well as a high-quality controller and FPV gear in order to compete in a racing. Today, there are many racing leagues, and they are popping up all over the globe every day. Each of these leagues has its own rules, and they dictate the race environment, obstacles, type of equipment, overtaking, or even the combats during the race. Mini drones are widely used in many leagues of that ilk, especially 250 mm palm-sized quadcopters. Game of Drones – A global league that requires Hiro drone kit. 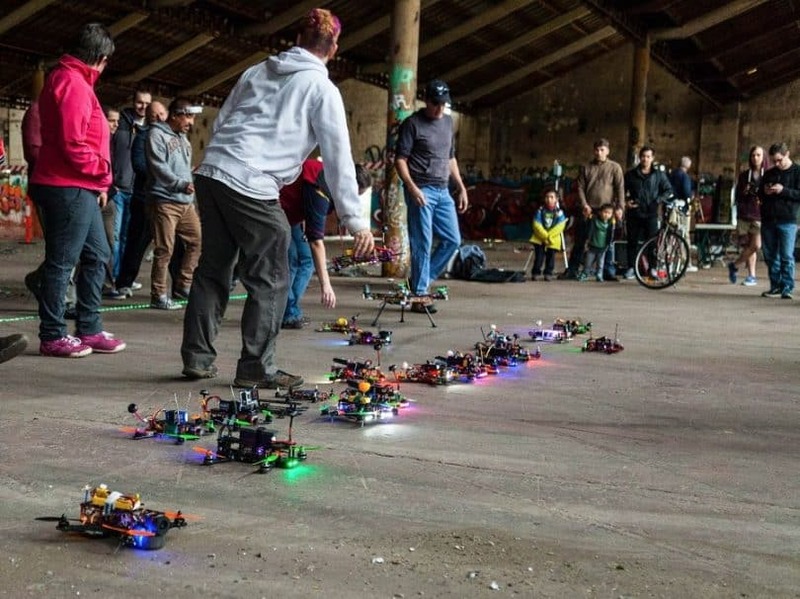 Aerial Action Sports League – A combat, 3-hour drone event. Aerial Grand Prix – This is a worldwide gates-and-flags racing league, which includes both indoor and outdoor tracks. 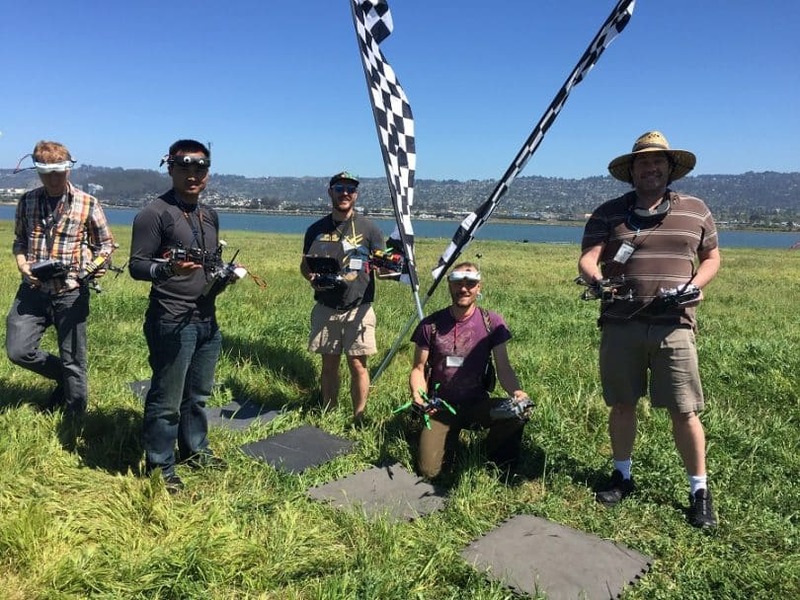 Flight Club – A local drone combat event that is organized by Game of Drones. MultiGP – A first-person view (FPV) quadcopters league that is currently adding US city chapters. OpenPilot – An open-source system for aerial racing. RacingFPV.com – An indoor flags and gates racing league for 250 mm and open class that is held in Canada. FPVRacing. TV – This is a popular social network of racers. 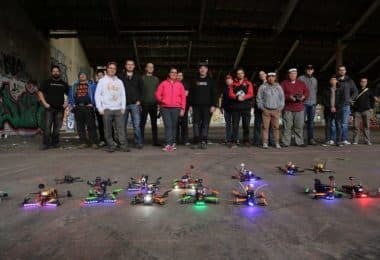 Aside from these leagues, there are also numerous local FPV meetups in different European and US cities. These events are mostly of open-spec type, which means they accept any type of drone and controllers. 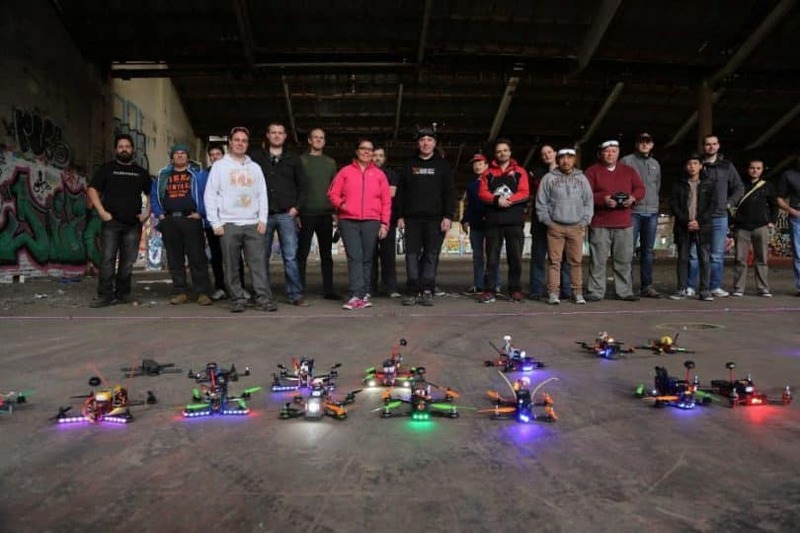 Like in the drone leagues, people compete with their drones, however, the main purpose of these meetups is not a competition but to have a good fun and to learn something from each other. Despite the fact that racing with drones is a great source of fun it can also be quite dangerous. These drones are not very lightweight, so if they hit a person or an animal, they can cause severe injuries, so it is recommended to take these safety precautions before you start racing. Never race on public places, simply because drones are complicated devices so they have a lot of components. If just one component fails, your drone will fall down and it can cause aforementioned issues. In all areas, these races are banned on public places, so you can get a fine if you race with a drone in a public place. Try using a drone safety net whenever you have spectators to the race. Actually, these nets are great to protect pilots too so don’t be afraid to implement them whenever you want to make sure everyone will stay safe. You use a transmitter to control your drone, so always check that nobody else is using the same channel you are. If this happens, you can cause severe problems with a race and drones of other participants, so you can get fined or you will be excluded from a race. This is treated as a mandatory safety precaution and it is recommended to always check your transmitter and a channel you are using before you start a race. Li-Po cells are the best sources of energy for your drone, but they are also the most dangerous components! Keep in mind that they must be charged as the manufacturer specifies. If you overcharge them, they can explode and they can damage your items. That’s why you shouldn’t charge them inside a home, and charging them outside a house is more than advised. In a case of an accident, a battery can get damaged. If this happens, it can explode, or ignite and cause a fire. Always check carefully the crash site and inspect the battery; if it is damaged, never use it and dispose it accordingly. 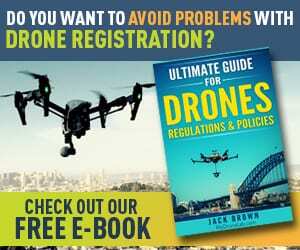 Using a damaged or a drone with compromised flying isn’t recommended as well. Each drone must be in a great condition, in order to provide the best flying capabilities possible. If your drone is damaged, make sure you replace all damaged components, until your device is in perfect order. By doing this, you eliminate the risk of all aforementioned issues and you will have higher chances for winning in a race. Keep in mind that after a crash even if it is a small one, a drone can get damaged, so it is mandatory to inspect it and check for damages or other issues. Only if you are 100% sure that there are no severe or even smaller damaged to a drone, you can use it again. A damaged drone can fall from the sky and cause an injury or damage an object. In some, rare cases, it can damage other drones, so it is mandatory to use only drones that are in spotless condition. Never try to catch a drone that is falling or trying to land, simply because rotors can hurt you. Always wait, until a drone is safe on the ground, and they you can pick it up. This is a well-known fact, but the most common mistake at the same time, which is made, usually by beginners. In addition, always try to land your drone in a safe location, such as a big field or an area where there are no people or animals, cause landing in the problematic area can cause accidents. So, what should you pay attention when using your drone for races? First of all, you need to have an adequate drone that is both fast and stable while flying. There are two possibilities. The first, and the most common option, is to buy a ready-to-fly drone that is specially designed for the races. There is a wide range of small UAVs on the market, but you will have to focus only on the racing ones. Choose a model according to your skills, since there are beginners, intermediate and professional models. The mostly used drones in races are the small quadcopters. Also, you can build your racing quad from a kit if you enjoy assembling. Once you have an appropriate drone for this purpose, you should get informed on the local racing tournaments in the cities close to you. Check out the FPV (first person view) races, since they are very popular today. Also, there are many racing leagues around the globe where you can compete and try out your drone and yourself as well. Pay attention that each of these leagues has its own rules. Most importantly, you must know all the safety precautions before participating in such races.